Poring over polling data from the plush confines of the Prime Minister’s Office, Liberal strategists could be forgiven for underestimating the troubles looming in the far reaches of their electoral empire. Justin Trudeau, when not posing for the cover of Rolling Stone, has settled into a regimen of fundraisers and photo-ops that keep his approval ratings comfortably high. Ask voters for their top-of-mind issue and you’re more likely to hear about household finances than pipelines or proportional representation. But it’s the betrayal of those two promises – to respect First Nations consent on Kinder Morgan, and change the way Canadians vote – that could break even a popular Prime Minister’s parliamentary majority. Trudeau’s Liberals won in 2015 by harnessing the hopes of young Canadians, while consolidating the progressive vote. Spurred on by their hatred of Stephen Harper, nearly a million voters switched from NDP to Liberal in the last election. Meanwhile, turnout among young voters surged. Overall, 2.9 million more Canadians cast a ballot in 2015 than in 2011. That’s what undid the Conservatives. Despite a tremendous barrage of anti-Harper campaigns, on election day the Conservatives lost only 3.8 per cent of their vote total across the country – an average of 647 people per riding. But they were swamped by the rising tide of voter turnout, which turned blue seats across the map Liberal red. With a new leader in Andrew Scheer and a highly efficient voter turnout machine, expect the Conservatives to do at least as well in 2019. For reasons that include Omar Khadr, a carbon tax and ballooning federal deficits, there are few votes on that side of the spectrum still available to Liberals. So to repeat his 2015 majority win, Trudeau must turn out young and progressive voters – again. But if young people don’t feel inspired the second time around, or progressive voters migrate back to the NDP and Greens, the Liberals start losing seats. Because he opted to keep Canada’s First Past the Post voting system rather than something more proportional, the Liberals are particularly vulnerable to concentrated regional backlash. For example, the anger created by overriding a provincial government, expropriating First Nations reserve lands and throwing thousands of progressive voters in jail. Trudeau said over and over in 2015: “governments grant permits, but only communities can grant permission”. He promised to overhaul the National Energy Board and restart Harper’s rubber-stamp review of the Kinder Morgan pipeline and oil tanker project. Most importantly, he promised a new “nation-to-nation” relationship with First Nations, built on the United Nations Declaration on the Rights of Indigenous Peoples. Central to that text, and several recent Supreme Court decisions, is the concept of Free, Prior and Informed Consent. But instead of implementing UNDRIP or rethinking Canada’s energy strategy, Trudeau approved three megaprojects in the space of four months, all in the same province. The Site C dam, the Pacific Northwest fracked gas plant (since cancelled by Petronas) and the Kinder Morgan expansion would each inflict a heavy toll on local First Nations, who were shut out of the decision-making process. By casually discarding his election promises, Trudeau showed his true colours: he’s rich, popular and good-looking, but doesn’t ask for consent. That could be a serious electoral turnoff – not just in the ridings most affected, but among women, young voters and anyone uncomfortable with Canada’s long tradition of steamrolling First Nations on behalf of foreign corporations. Not a winning campaign slogan in 2019. Indeed, for Kinder Morgan to proceed with construction, Trudeau himself must sign the orders to expropriate lands on Indian Reserves across B.C. It’s a measure not used in decades, but it’s necessary for Kinder Morgan to follow the route of the 1953 pipeline it purchased for the purposes of this expansion. In the 1950s First Nations people were barred from voting and forbidden from hiring a lawyer. The original Trans Mountain line was simply put through, no consultation required. Six decades later, the world has changed. Our Prime Minister now faces a black-and-white decision: which side of history is he on? If he chooses expropriation, things will begin to move very quickly. Kinder Morgan insists it will be ready to break ground in September. That’s when the arrests will start – and carry on right through the 2019 election. Along the Thompson, Coldwater and Fraser rivers, Kinder Morgan will face Indigenous people determined to defend their drinking water – like the Lakota Sioux at Standing Rock, but across a vast geographic area. Others will turn to civil disobedience if First Nations ask for their support. How many priests, ex-soldiers or schoolteachers is Trudeau willing to see shot with plastic bullets, pepper-sprayed, bitten by dogs, soaked with water cannons or carried off in zip ties? Over the next two years, how many people will have their phones tapped, their emails read, their doors staved in by police battering rams? In that scenario, it’s not just his support on the West Coast that Trudeau needs to worry about. If the “Battle of B.C.” grinds on for two years leading into the next election, Montreal voters might start to worry about this government’s approach to federalism. Torontonians spooked by Harper’s G20 arrests might not like seeing the same thing happen in Vancouver. If the next NDP leader is Jagmeet Singh or Niki Ashton (both opposed to Kinder Morgan), they will carve into Trudeau’s left flank, trying to win back ex-NDP voters who care about civil liberties, racial justice or the environment. The Greens, too, will get a shot in the arm. Because of the peculiarities of Canada’s winner-take-all voting system, in some places the fragmentation of Trudeau’s progressive alliance will re-elect Conservatives. Other places the NDP or Greens may punch through. The Liberals need only lose 14 seats out of 338 for their majority to crumble. 17 are at stake in B.C. alone. Siding with a Texas pipeline company means going all the way. If Trudeau doesn’t have the stomach for what follows, he better hope Kinder Morgan is bluffing. I wonder what his mother has to say about all these shenanigans in her home province? Trudeau has proven himself to be Harper with a smile. Progressives across the country will turf him in the next election and for many years after. Trudeau will be known as the man who killed the Liberal brand. Voters both young and old are sick and tired of politicians who say one thing to get elected and then do something completely different. (A related study to the post below is at: http://jspp.psychopen.eu/article/view/96/37 AND article: http://journews.concordia.ca/?p=234) …. Meanwhile, those progressive-reputation newspapers are very zealous in printing numerous stories (which I find have an unfortunate distractive effect away from even serious eco-concerns) on persecuted and disadvantaged minority groups, most notably those of race (and perhaps that of relevant related religion), sexuality, gender, and especially stories involving society’s most disenfranchised — the homeless and those with mindbogglingly decrepit living quarters very few of us would even think of inhabiting; and, to not be mistaken, I find stupendous and crucial such journalistic social activism. (As it were, the current and potently effective distraction, especially in conservative media, is that of the Omar Khadr compensation story.) But to me it’s clearly counterproductively absurd to stop that fervent extensive-coverage activism short of including the environment and eco-systems gravely threatened by big industries. To me, I see it somewhat like a cafeteria lineup consisting of diversely socially represented people, all adamantly arguing over which identifiable traditionally marginalized person should be at the front and, conversely, at the back of the line; and, furthermore, to whom amongst them should go the last piece of quality pie — all the while the interstellar spaceship on which they’re all permanently confined is burning and suffering some serious storage-tank-breach spillage of lethally toxic chemicals at onboard locations that cannot be immediately seen. as believed by a responding editor with a British monthly climate-concerned publication as well as many reputable climate scientists (a few examples being: https://www.theguardian.com/environment/2008/dec/09/poznan-copenhagen-global-warming-targets-climate-change & http://www.independent.co.uk/news/science/donald-trump-climate-change-policy-global-warming-expert-thomas-crowther-a7450236.html & https://www.scientificamerican.com/article/have-we-passed-the-point-of-no-return-on-climate-change). I agree with a lot of what Kai has written here – but two things bother me. 1. I am extremely disappointed that you and Dogwood are using Omar Khadr as a pawn in federal politics. Thank you for your note, and for this feedback. I’ve passed it along to the team. 1. I too do not think human rights should be used as a political chess piece. But personally, that wasn’t how I read that part in Kai’s blog. I see it more as an honest observation of the state of Canadian politics right now — the CPC is attacking Trudeau very hard on his treatment of the Khadr case, and the polls are showing their side has some traction. 2. Kai talked about expropriating First Nations reserve land and throwing thousands of progressives in jail. Of course these things haven’t happened on Trudeau’s watch — yet. But they certainly could, based on what we’re hearing, if Trudeau is determined to force this unwanted pipeline and tanker project through. Don’t hesitate to get in touch with any more feedback — sophie@dogwoodbc.ca! Our mistake, Alison! I’ve responded now. I don’t think Trudeau understands that going back on promises to voters , will be his and the Liberal Party’s unglueing . Right on, in two sentences you covered what it is to be a “politician”. In answer to the second question: During the ill-fated G20 weekend here in Toronto well over a thousand people were arrested and held in a specially-constructed jail facility after being caught up mass arrests during two demonstrations. Many hundred others were “kettled” in the pouring rain for hours at the intersection of Spadina and King in what was, for all intents and purposes a mass arrest. Albeit, this was on behalf of Harper’s government. 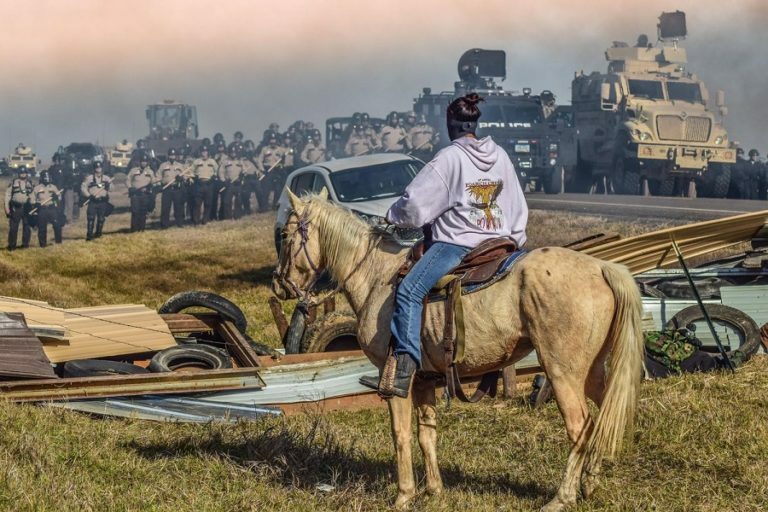 The same could well happen during a massive anti-Kinder Morgan demo — shades of the mass arrests at Clayquot Sound. Two things which Kai has not included : #1. The slow implementation of the marijuana promise will alienate many Trudeau supporters. #2. 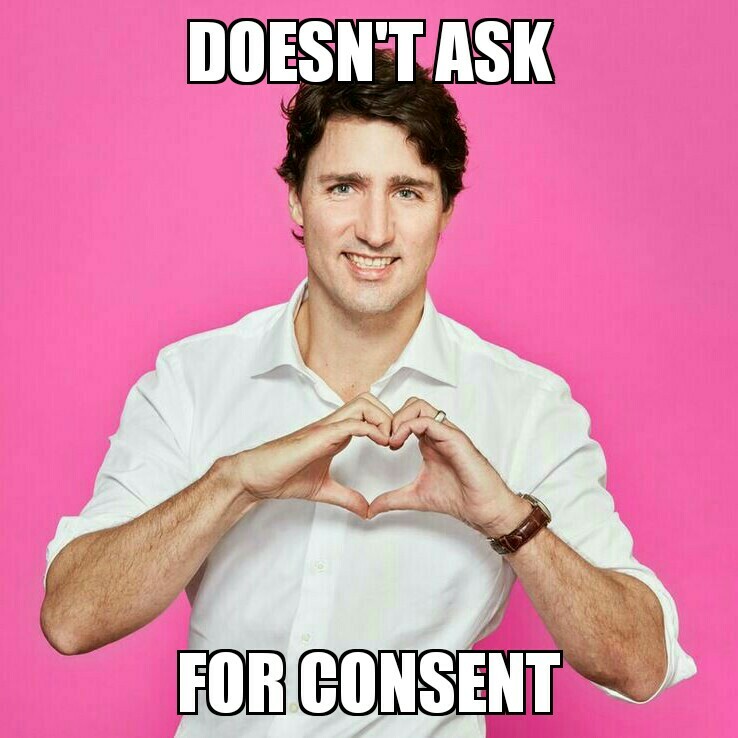 If yo glance at Trudeau’s ‘heart’ hand signal. it looks more like a southern USA sheriff’s badge, than a heart .and a love signal . Perhaps that is true unconscious body language ! Kill Kinder Morgan tar sands pollution project NOW ! I have decided some years ago that Kinder Morgan is an infectious disease and I have developed sufficient antibodies to assist in the struggle, the only question is where. Sophie, I too questioned the thousands in jail comment and though I figured it out, I scrolled back to see why he said it at that point as it really did not make sense. He needed to clarify it then and there for context. As for Omar Khadr, I agree with Kai that the Conservatives will attempt to use it as political fodder. Trudeau makes Harper seem reasonable and democratic. All the friction on this matter can be eliminated simply by examining what is the best way to get Alberta bitumen to tidewater. It is by sending UNdiluted bitumen by train to a port on in the Prince Rupert area. Such shipments are already being done to the USA and are a proposal by ‘Pacific Future Energy’ to a refinery near Kitimat.